Detects threats that traditional security products from other vendors can't. Reduces noise to optimize your security staff's time and effort. Continually adapts to the evolving threat landscape of cybersecurity. Scales and remains flexible as your organization grows. Umbrella Technologies’ cybersecurity solutions protect against known and unknown advanced attacks. With it’s signature-less virtual engine, conventional intrusion prevention system (IPS), and intelligence-driven detection, our solution covers all areas of security. This enables faster detection, more accurate alerts, and reduced noise. Identifying the threats traditional security solutions aren’t capable of identifying allows you to focus on alerts that pose a genuine threat to your system and reduces the operational cost of false positives. Security professionals know indiscriminate detection and prevention is not good enough. To prevent serious data loss, organizations must be able to quickly respond to and share information about attacks. And with the add-on Secure Sockets Layer (SSL) Intercept appliance, you can increase your visibility into SSL traffic to detect and block encrypted attacks. To address new security threats and requirements, your business must keep pace with continuous technology and network changes. Firewall monitoring and management is resource-intensive, and the added complexity of constant firewall management can be costly for your organization. 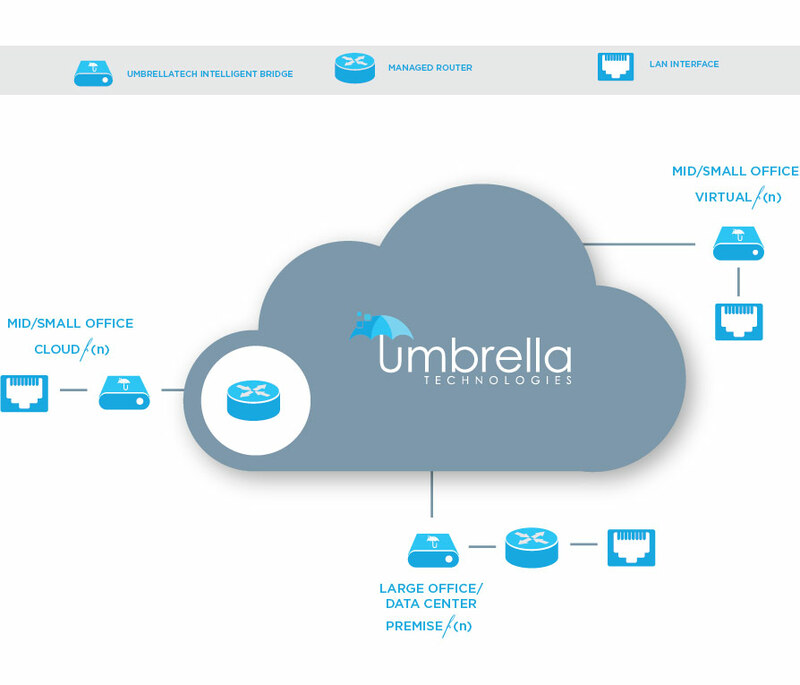 Umbrella Technologies will deploy and manage your firewalls so you can reclaim vital technical manpower that can be deployed for more strategic objectives. Unified Enterprise Security fulfills the promise of a truly integrated and advanced threat-management solution that delivers an enterprise security experience unlike any other. Stop wondering whether or not advanced, persistent threats may be lurking undiscovered and know precisely what actions to take and when. Reduced noise optimizes your security staff’s time and effort. Stop trying to keep up with the ever-accelerating treadmill of signature-based threat detection and repeated false alarms. Recognize and profile your normal network behavior and synthesize it with human judgment for a targeted response. Continually adapts to the ever-evolving threat landscape. Stop reacting and start predicting which threats will emerge – before they occur. Harness the best of both human and machine to create a system that gets smarter every day instead of falling farther behind. Scales and remains flexible as your organization continually grows.